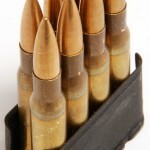 This website continues to get a lot of traffic on our educational page about ammunition sizes and bullet caliber. 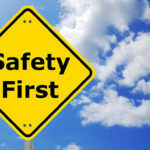 I’ve read through all of the comments we get there and many have been positive and some have even asked for more educational info on firearms. So, today I’m going to take the opportunity to discuss a couple of items that are often misunderstood: “clips” and “magazines”. 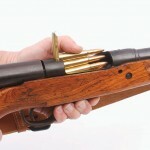 A clip holds multiple rounds of ammunition together and feeds the magazine. 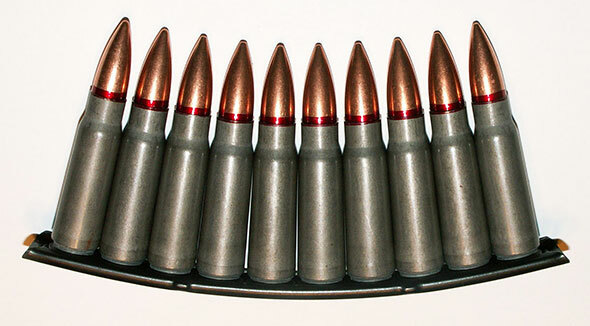 A magazine contains multiple rounds of ammunition and feeds the firing chamber. Make sense? How about the way the great R. Lee Ermy once put it: If you think about a magazine you buy at the grocery store and an every day paper clip, you can put the clip in the magazine but you can’t put the magazine into the clip. That may be oversimplifying it. So, let’s learn a little more, shall we? This is where the magazine vs clip confusion can often break down. People think if the magazine can be removed from the firearm, then it is a clip. The reason people often think that is because they think that a clip is detachable but a magazine is inside the gun. No. Remember, magazines feed the firing chamber but clips feed the magazine. 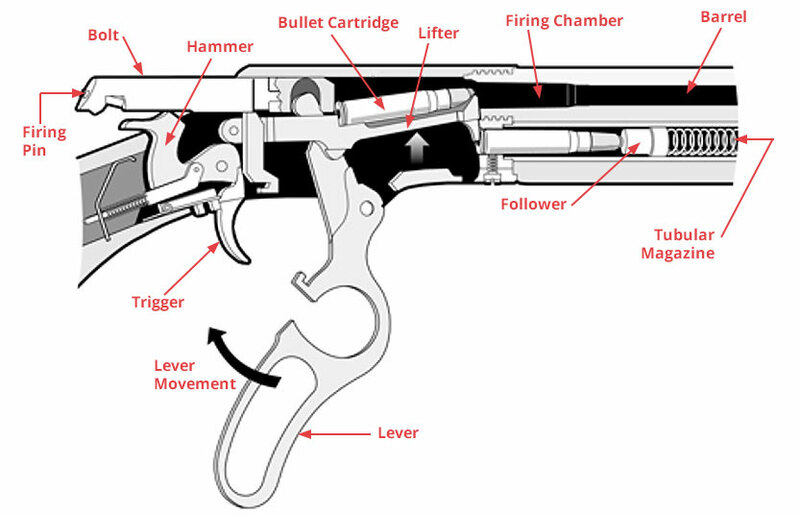 To help understand that a little better, refer to the diagram to the right which breaks down the various parts of a lever-action rifle. 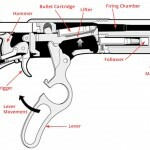 In that diagram you will see that the rifle has an internal tubular magazine that holds the ammunition horizontally directly below the barrel of the gun. This type of tubular magazine can also be seen in most pump action shotguns. They both work the same way: a spring pushes the rounds forward and an internal lifter lifts them up and into the firing chamber. Tubular magazines are just one type of internal magazine. Another type is an internal box magazine. These were first introduced and used in bolt action rifles like the Springfield M1903 and later in semi-automatic rifles like the M1 Garand. 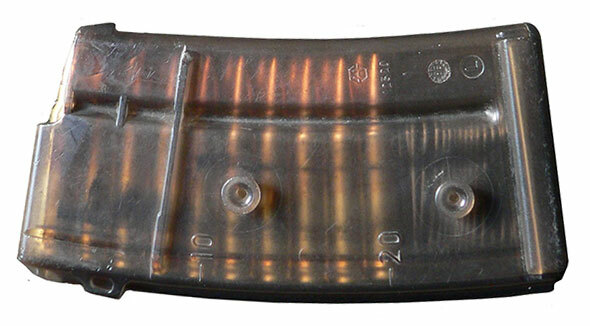 These magazines, while internal and fixed, operate much like the modern detachable magazine by using a spring to push the rounds directly up and into the firing chamber. 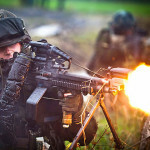 As is the case of both of those rifles – and many of their contemporaries in the early part of the 20th century – an ammo clip is used to hold the ammunition together in a group and then loaded into the internal magazine. 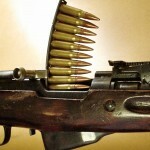 See the video below that demonstrates loading a clip into an M1 Garand. An interesting historical note about the M1 Garand: If you had the volume up while watching that clip, you might have heard a “ping” when the last round was fired. That noise is made when the clip – which remained in the gun the entire time – was ejected from the magazine. In World War II, German troops picked up on that sound and knew that it meant the American soldier they were facing now had an empty weapon and would be reloading. They would use that opportunity to advance on their opponents. American troops eventually learned this as well and would try to fake the sound whereby drawing out their opponents. But, I digress. Magazine vs Clip: So Why Do We Have Both? Well, the simple answer is that most rifles designed and manufactured before the 1940’s employed the ammo clip to allow for quicker reloading. 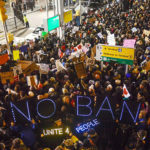 The only other option is to load the gun one round at a time – which is still the case with many shotguns, lever-action rifles and bolt-action rifles today. 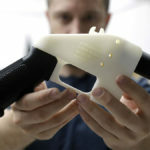 As firearms evolved and new methods developed, the detachable magazine became the easiest and most common way to load both rifles and handguns. 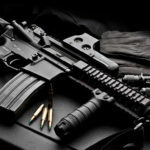 When it comes to rifles that utilize ammo clips, two of the most common still used today are American M1 Garand and the Russian SKS. 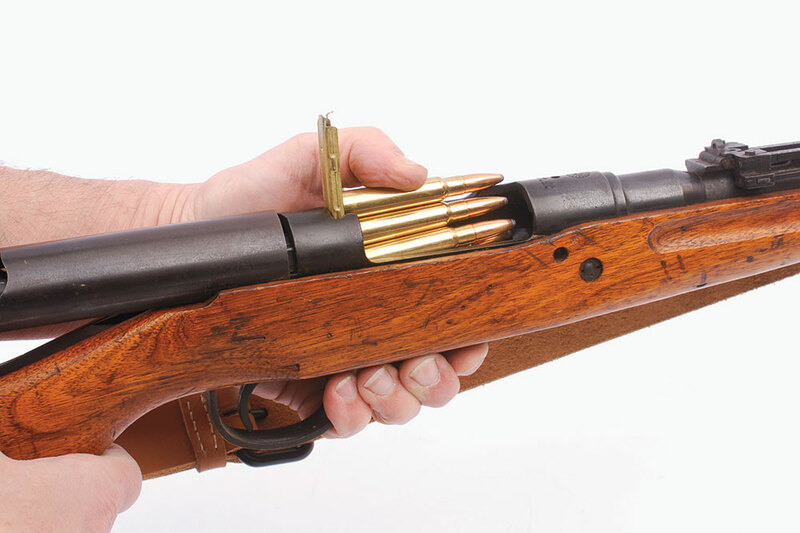 Both use ammo clips to load the internal magazine, however unlike the M1 Garand clip which stays in the rifle until it is empty, the SKS and many similarly designed rifles use what’s referred to as a “stripper clip”. The stripper clip allows you to quickly load several rounds, however the clip is only partially inserted into the gun and is used to guide the rounds into the internal magazine. 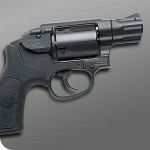 The clip is then removed and can be loaded with more rounds for faster reloading. 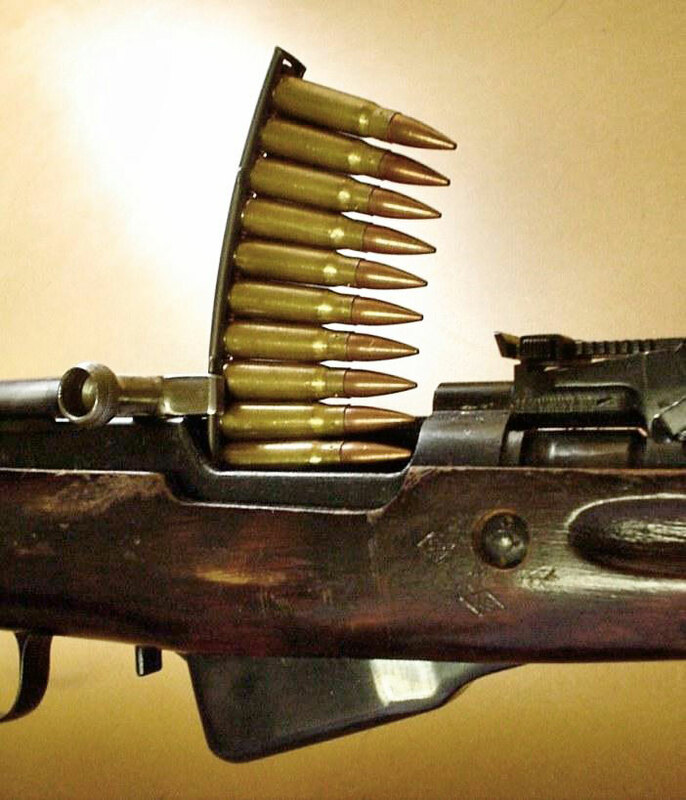 Watch the video below to see an SKS loaded with a stripper clip. Well, I hope that helped to quell the confusion of the magazine vs clip confusion. 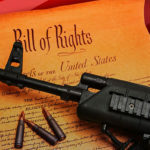 To summarize, the quickest way to determine if you’re looking at a clip or a magazine is this: if the ammunition is completely encased in a container, that is a magazine – an external, removable magazine to be exact. 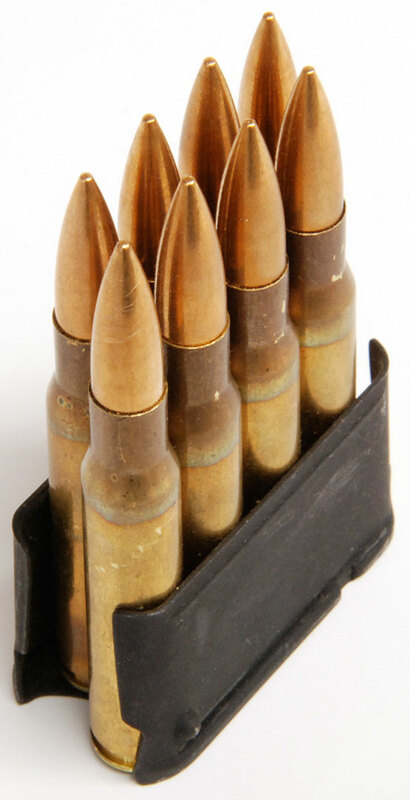 An ammo clip is almost always made of some kind of metal and simply groups the ammo together to make loading faster. Be sure to share your thoughts, and questions in the Comments section below. As always keep it civil and helpful people. I have a question. Let’s say you have a magazine that can hold 10 rounds, with only 4 rounds left in it. You also have a stripper clip with 10 rounds in it. Can you use the stripper clip to load six rounds into the magazine, and leave the other four bullets in the clip? Excellent education. Too many people refer to mags as clips. I had a PH teach me the difference many years ago. at that time I made the same mistake. As a very young kid at the time the Viet Nam war was ending, I always heard the TV news refering to the VC AK’s having those long curved banana clips. 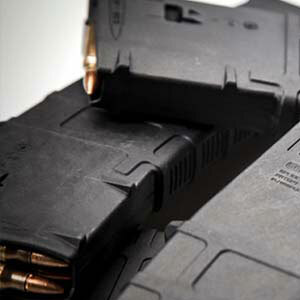 Maybe there is such a thing,however these were only high capacity AK mags.